I’m always eager to find new areas to eat and to discover new vendors and dishes. I stayed a couple of weeks in the Sri Yan area to investigate offerings along Nakorn Chaisi road that also passes through the Ratchawat area. Both Sri Yan and Ratchawat have their decent food markets, but they also have plenty of good food being prepared in front of you. 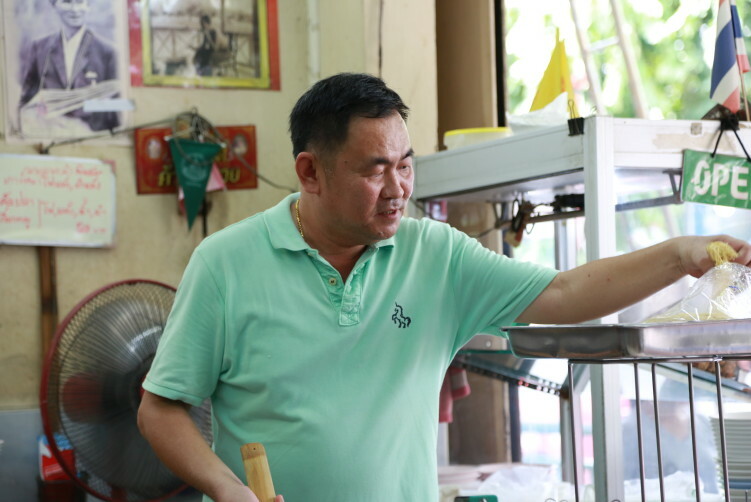 Jill Look Chin Pla (Sri Yan) – also written Jiew – is on of those restos that passes the test, not on all dishes, but on typical Thai dishes like yen ta fo. You find it a few meters away from to the Talad Sri Yan market. Sri Yan is in the Dusit area of Bangkok. The yen ta fo (top picture) is really a decent version of the dish. Noodles are perfectly cooked, the vegetables are fresh from the morning trip to the market almost next door and the fish balls and other proteins are taste and of good quality. If I should point my finger to something, it is that it lacks just a little bit of acidity incorporated in the broth, but that can in general be fixed with the condiments (vinegar) on the table. Jill Look Chin Pla obviously has Chinese roots. The menu has a couple of stews on the menu and that isn’t the western inspired way, but the Chinese way. I tested the chicken and mushrooms in gravy. It came with big chunks of both chicken and mushrooms and the taste was good. The problem was that the the meat was a bit to dry for my taste. 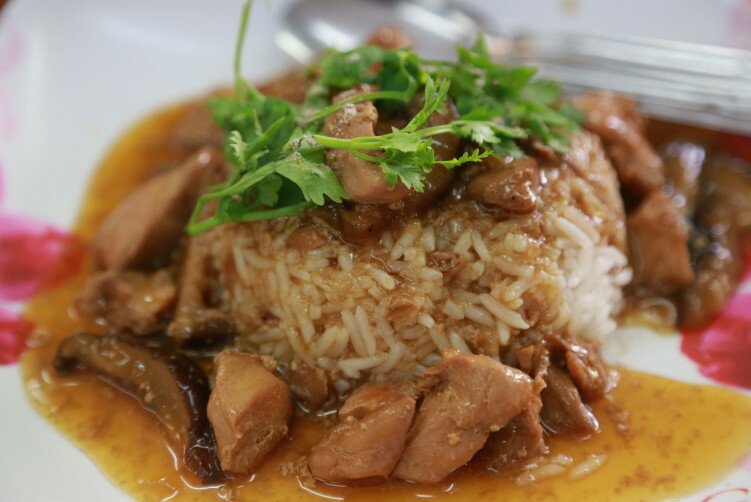 The also have pork stew over rice (Khao Sa-tew Moo Toon) which I regret I didn’t taste, as I understood later on that they are known for the dish. It comes with potato and carrots and is cooked for hours. But that will have to be for my next visit. Egg Noodles in Gravy with Chicken and Mushrooms (Ba Mee Radna Gai Het Hom) and khao pray ram lum song (pork over rice with a peanut gravy on top) is other dishes on the menu, but as my stomach was full that will be for my next visit as well. The last dish came with steamed morning glory (pak bung) and a roasted chili sauce (prik pao). http://sanfordbiggers.com/bio order now Food: Yen ta fo, pork stew, pork over rice with peanut gravy, yellow egg noodles with chicken and mushrooms etc. How to get there: The restaurant is located next to the Sriyan Market in the Dusit area of Bangkok. From down town, take the BTS to Victory Monument and jump into a taxi for a 15 minutes ride (unless rush hours), or take bus #14 to Talad Sriyan. You could also come the waterway as Payap pier takes you almost directly to Sri Yan market in Dusit district. 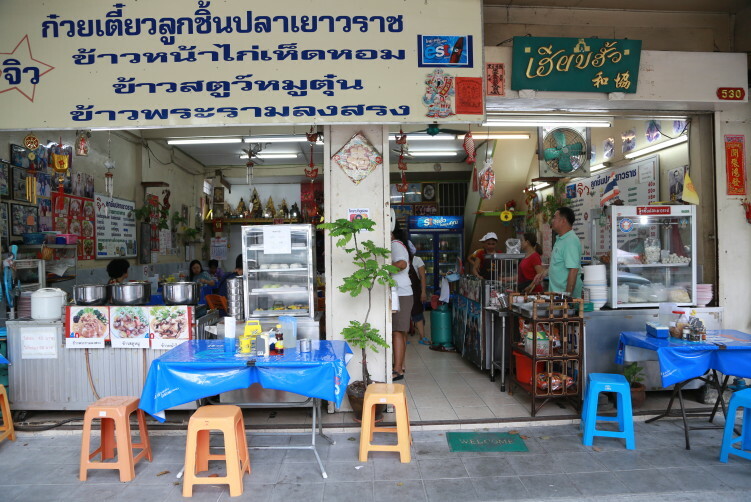 Sri Yan market is a short 5 minutes straight walk away, just follow the Nakhon Chaisi road from the pier. 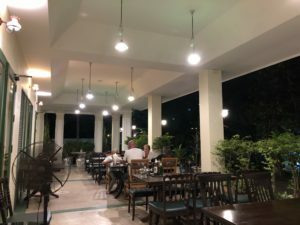 If you come from Khao San Road or Phra Athit road, take Samsen road until Nakhon Chaisi and turn right before you continue for about a 100 meters until you find the resto on your right side (same side as indoor market).